1. What is environmentalism? 2. The civilisation of the demons. 3. Globalisation without global consciousness. 4. Unity in diversity. 5. Rural and decentralised economy. 6. Conservation. 7. Reforesting the earth. 8. Green management and technologies. 9. Green technology is not enough. 10. Climatic chaos toward ecological disaster. 11. Workaholism toward human catastrophe. 12. Affluence and its discontent. 13. The warning of the club of rome remains valid. 14. Toward an eco-civilisation: to dress oneself from within. 15. Tagore's eco-civilisation. 16. 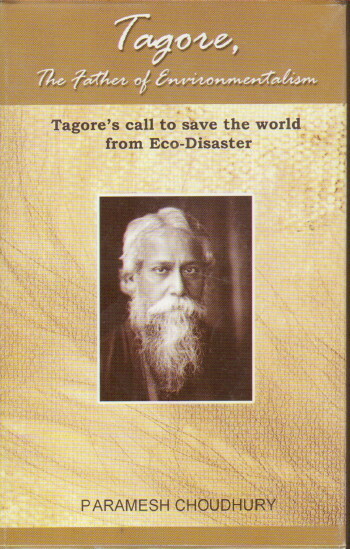 Tagore's environmental philosophy. 17. Dharma, the inner strength. 18. Tagore's ecopoetry victor i. postnikov. 19. Tagore on sea pollution. 20. Tagore forecast the downfall of soviet Russia. 21. References. 22. Index.